Journey into the past and experience the wonder of discovering Indian artifacts. Centuries ago many Native-Americans lived throughout New York and New Jersey and today you can still find signs of their presence. Albert H. Heusser, a native of Paterson, New Jersey, shows how and where to look for the artifacts that still remain, and the simple pleasures of identifying and collecting them. Using dozens of regional examples, from New York's Tuxedo Park to New Jersey's Saddle River, Heusser takes you on lively and intimate exploration of Indian history. And you don't have to be a local. Most of the information Heusser shares will help anyone learn to hunt artifacts. If you've ever wondered how to start looking for Indian artifacts, or want to get a closer look at how Native-Americans lived many years ago, Homes and Haunts of the Indians takes you on a personal tour of discovery. 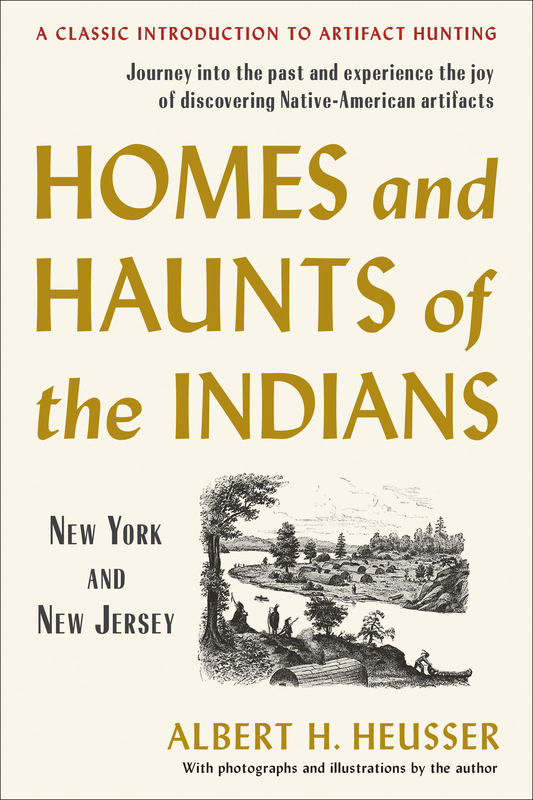 Homes and Haunts of the Indians also features over 40 photographs and drawings of bygone Indian haunts and ancient relics from the author's own collection. Historian, author, and lecturer Albert H. Heusser was born in Passaic, New Jersey in 1886. He was a member of the New York Department of Education, the National Geographic Society, the New Jersey Historical Society and Curator of the Passaic County Historical Society. In addition to Homes and Haunts of the Indians, he wrote a number of books on history and travel. He died in 1929 in Passaic, New Jersey.